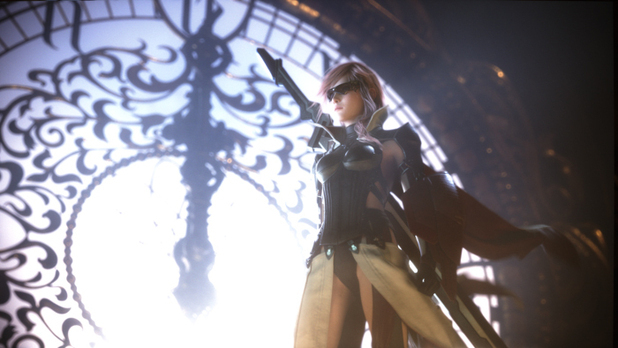 The producers of Final Fantasy, Square-Enix, have released a new Lightning Returns: Final Fantasy XIII trailer. The trailer, called 'The Saviour's Choice', touches on some of they key story points, along with showing the stunning game visuals. Furthermore, you'll also get a glimpse of Lightning's unique battle abilities, including her super attack: Army of One. Lightning will reunite with Chocobos, Kupol and Sazh as they battle the enemies who share the forest with the Moogles. On the brink of being wiped out, Lightning must defend the Moogles at all costs. The game takes place in The Wildlands, which is the fourth continent in Nova Chrysalia and the last wilderness in the dying world. In The Wildlands you'll find the Moogle Village, along with the Wildlands Station which is carved into the mountain. Gamers will also find a white chocobo in The Wildlands that only communicates with Lightning. Lightning must find gyshal greens from villages in order to help the wounded chocobo, who is given the name "Angel of Valhalla". Anyone who preorders Lightning Returns: Final Fantasy XIII will receive the exclusive Cloud Strife Soldier 1st Class DLC straight from Final Fantasy VII for free! The pack includes the iconic Soldier 1st Class Uniform, Cloud’s Buster Sword, Soldier Band and Finishing Animation. But that's not all! You'll also receive the timeline Victory Fanfare. Lightning Returns will be available on both Xbox 360 and PS3, and will hit the shelves on February 11th in North America and February 14th in Europe.